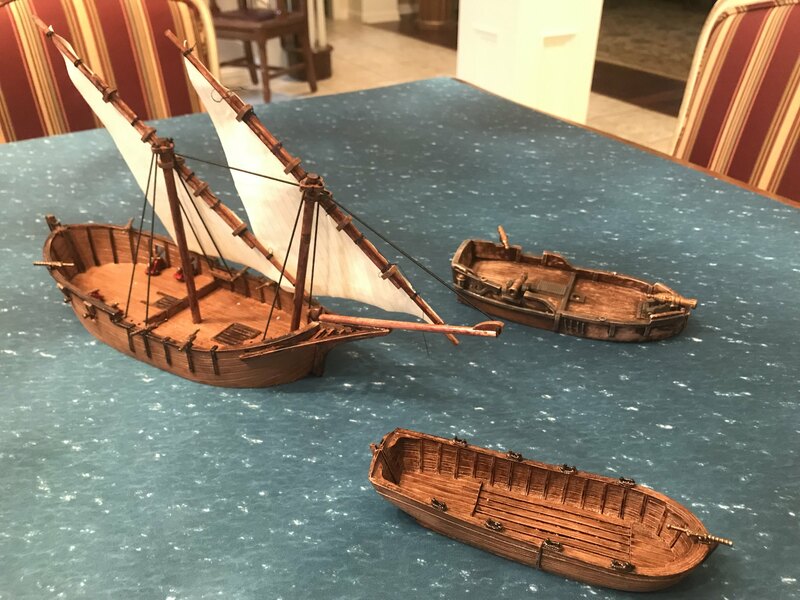 Finished my first ships for Blood & Plunder. Happy with the Long Boat and Tartana. The other is an old ship I had from way way back. Going to figure out a way to put on some masts. Still have to mess with the Tartana sail to get them to billow some. Next up is a Brigantine and Galleon. About 50% done there. This may show the lines on the sails a bit better. I double-side printed the Firelock files onto printable fabric. 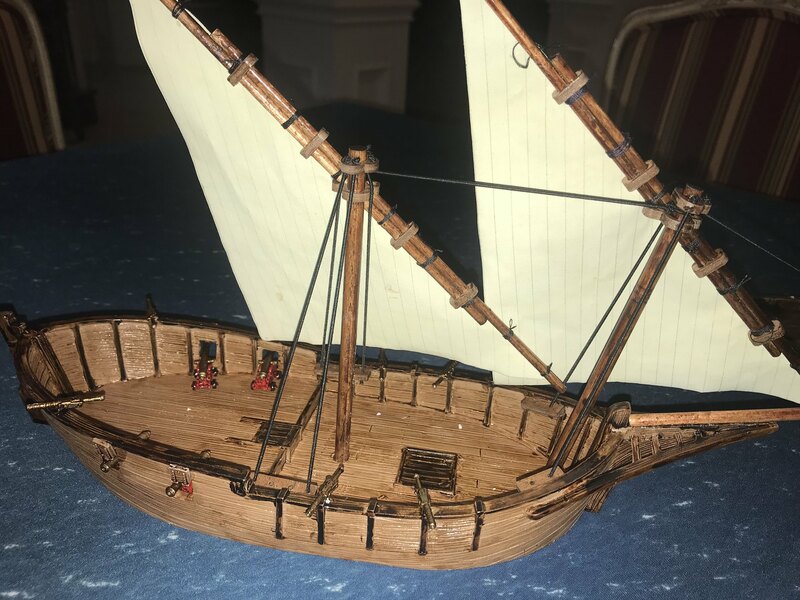 Never tried making sails before or using prinable fabric. Seems to works well enough. The wood was just a light tan undercoat with MinWax Polyshade – link – put on in coats until I got the look I wanted, then straying with a mat finish.